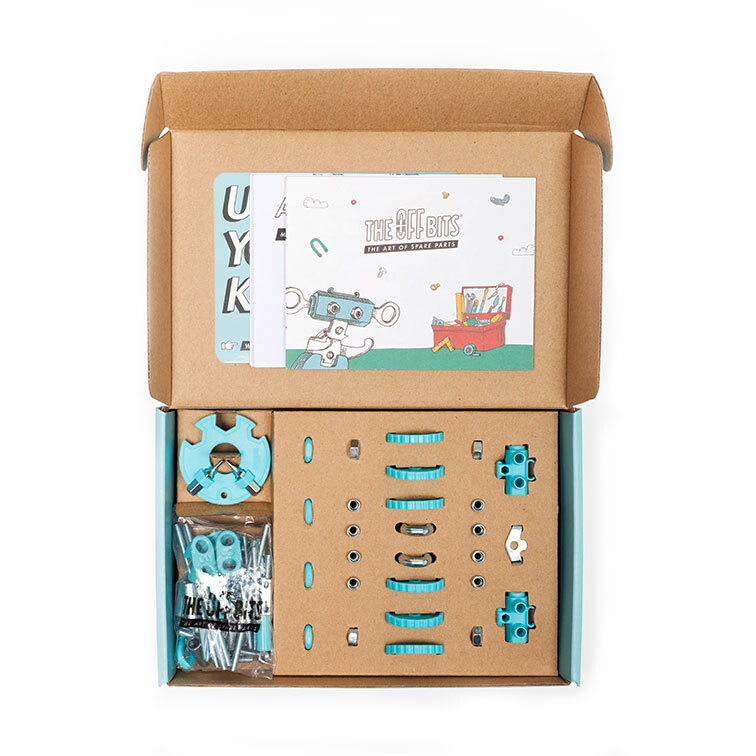 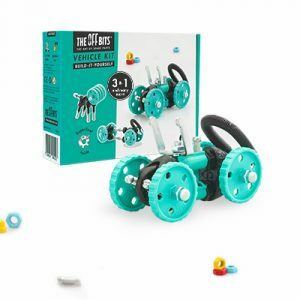 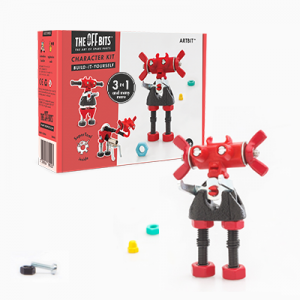 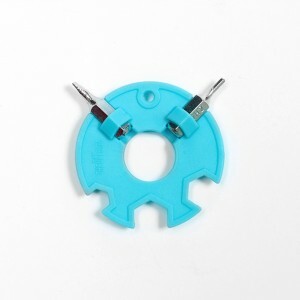 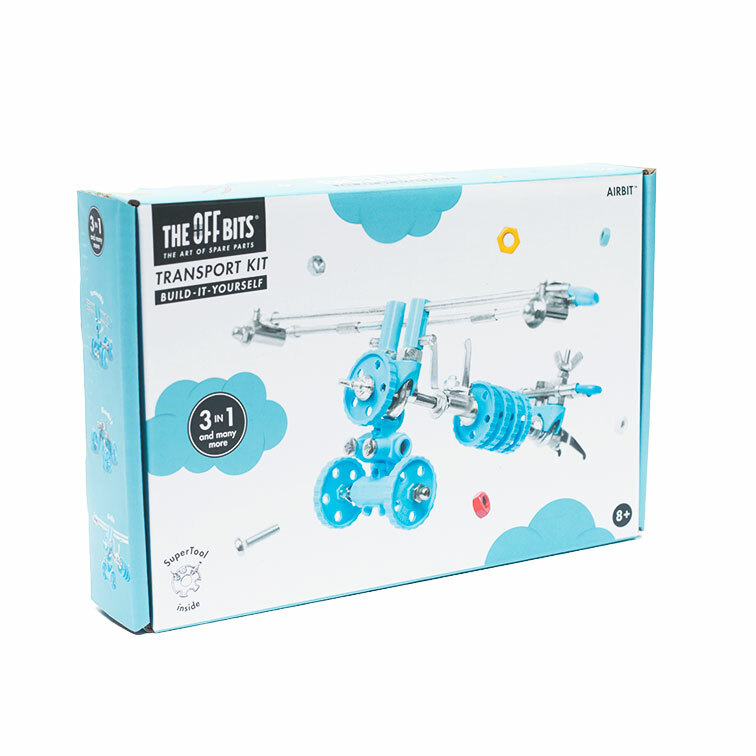 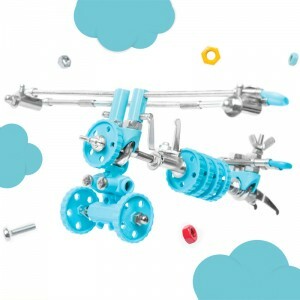 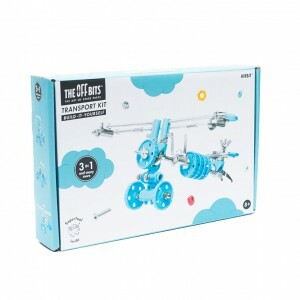 Following the illustrated instructions, you can get to transform this jumbled collection of colorful nuts, bolts, and unique hardware pieces into a beautiful AirBit, ready for take of. Then… Ready to take the construction excitement to the next level? 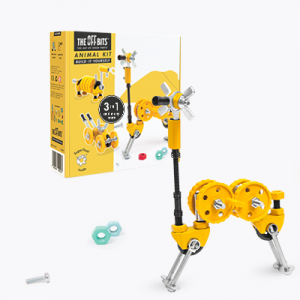 – Take the whole thing apart and follow the instructions further to build two more amazing creations! Bring to life the hustle and bustle of airport luggage carts and maintenance trucks with the TerminalBit. 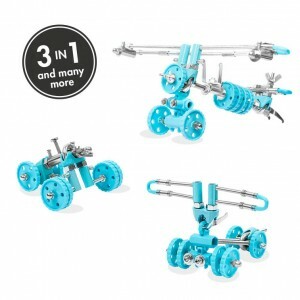 Become a champion of the raceway with the BlazeBit II. 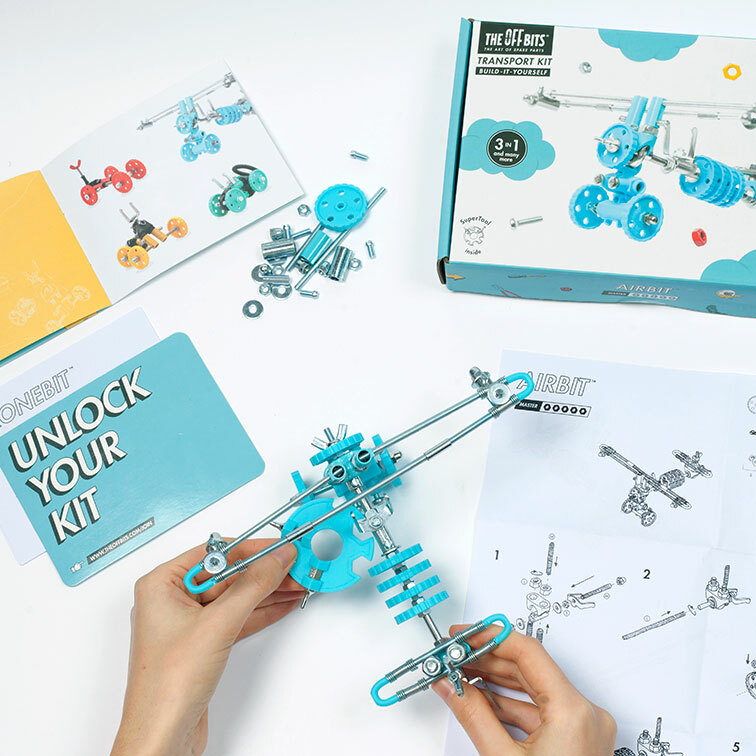 Or – Forget the instructions and transform the whole thing into a unique creation of your own design!